A social activist known for her progressive politics, Elizabeth Catlett used printmaking as a method of disseminating her message on behalf of the working class and oppressed members of American society. 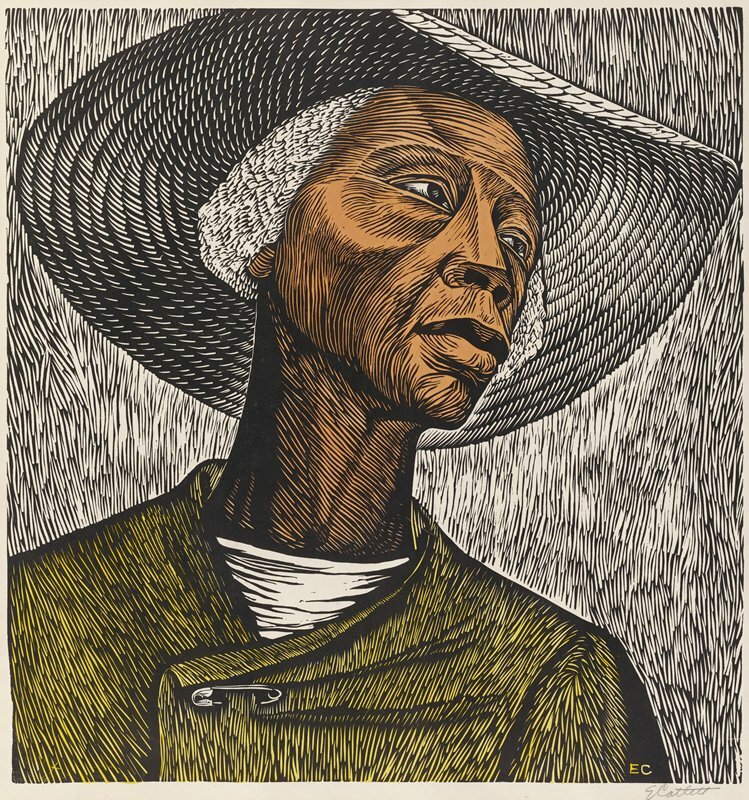 Her widely-celebrated linocut Sharecropper is a sympathetic portrayal of a female sharecropper enmeshed in an abusive system of labor that enlisted former African slaves to work as farm workers in the post-Civil War South. Sharecroppers typically worked the fields of plantation lands in exchange for a portion of the harvest, usually cotton. The granddaughter of slaves herself, Catlett emphasizes the outward signs of the woman's hard life, highlighting her weathered skin, humble clothing, and weary expression. Though freed from captivity, sharecroppers were routinely exploited by their former masters, who continued to control their land and by extension, their workers. Private collection; (Sragow Gallery, New York); sold to MIA, 1997.